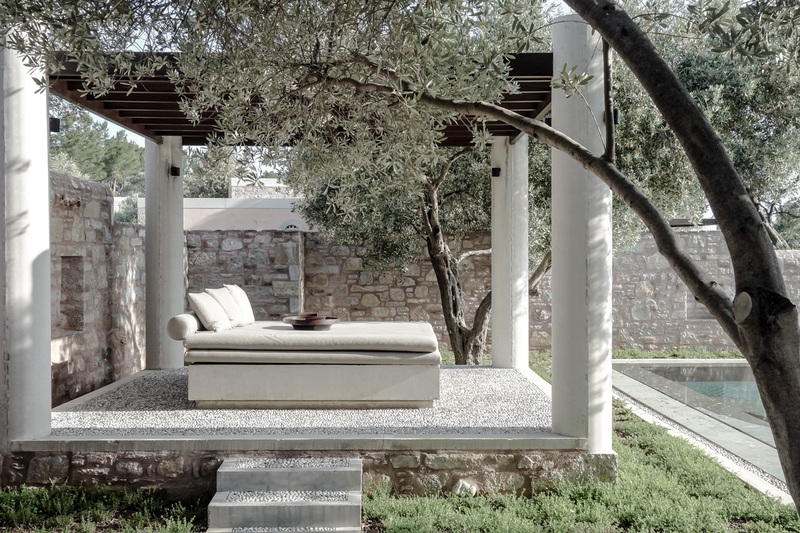 The design of Amanruya was inspired by the simplicity of architecture in the pre-Ottoman Selcuk era. Acajou wood can be found in the pavilions and restaurants, and floor to ceiling windows open to reveal expansive horizons. Construction materials and craftsman were sourced from the surrounding area, including local specialists in construction methods largely confined to history. With only 34 freestanding Pavilions, each with a spacious garden and private swimming pool, guests can enjoy a highly personalised, discreet service. 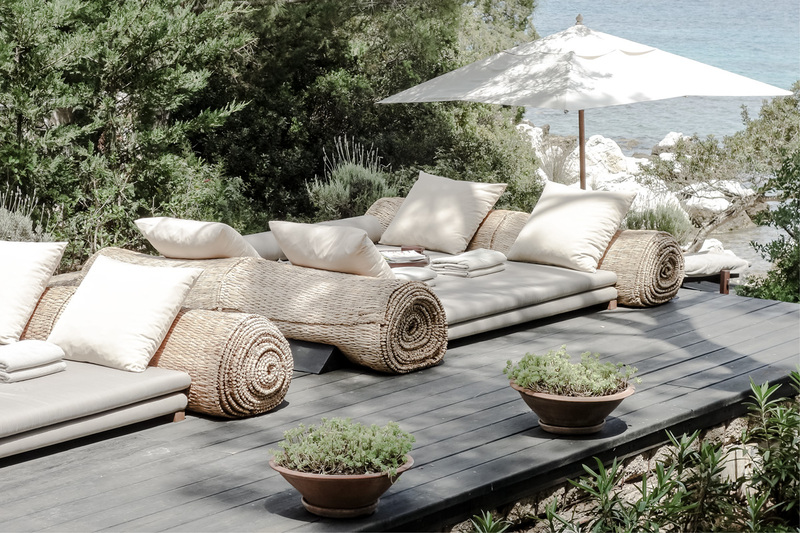 Approximately 500 metres west of the main buildings there is an informal, private beach club overlooking a small pebble beach, for the exclusive use of Aman guests. 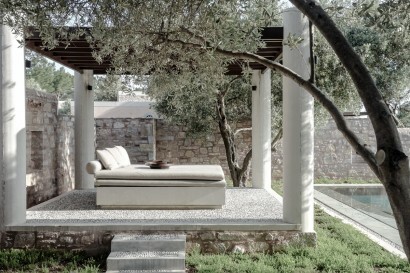 Amanruya is located on the southeast Aegean coast of Turkey, on the north side of the Bodrum Peninsula in Mandalya bay. Around 15-20 minutes from the town of Bodrum, the property enjoys a rural setting, surrounded by olive groves and set against pine-cloaked hills. 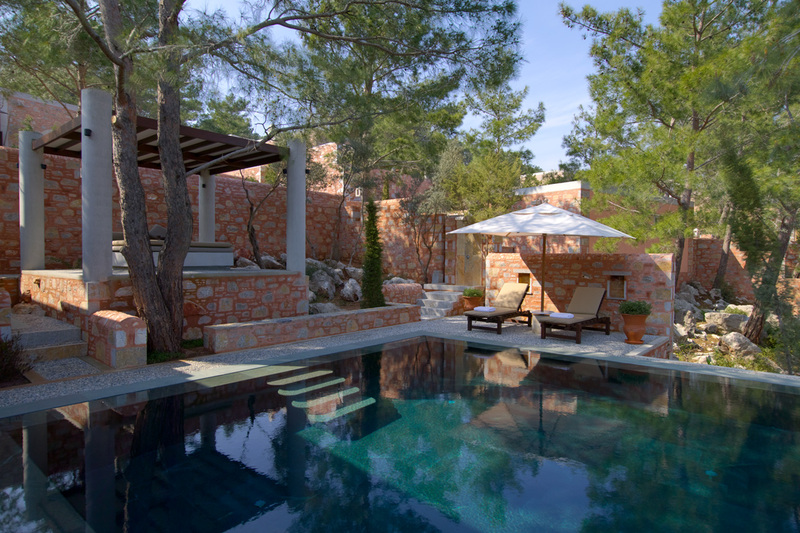 Milas-Bodrum International Airport is around 30 minutes away by car. 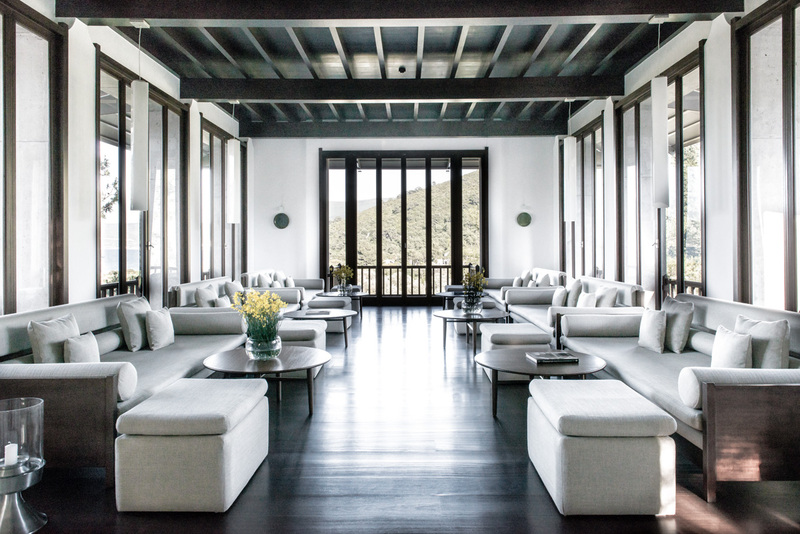 Amanruya provides a menu of tailored activities and excursions, focusing on sea-and beach-based experiences in the warmer months, and in the cooler months on exploring the region on foot, bike and horseback or further afield by private car. Many classical ruins lie within reach of Amanruya and can easily be explored as part of a day trip. The Mausoleum of Halicarnassus – one of the seven wonders in the world – lies in the centre of Bodrum, and the ancient Greek, and later Roman, city of Ephesus is 2.5 hours’ drive north of Amanruya. High on the hillside, a dining pavilion offers a slim, wraparound balcony with panoramic ocean views. Retreat here to watch the sunset and enjoy a romantic dinner for two. Children of all age groups are welcomed to our resort. Please note, due to the layout of the property some rooms are not suitable for children of certain ages. We ask that you confirm the age of any children at the time of booking, so we are able to allocate you suitable accommodation. A number of Amanruya’s excursions are perfectly suited to keep children entertained: Gulet cruising with snorkelling, Bodrum city sightseeing, exploring the local markets, horse back riding, and water sports at the Beach Club. 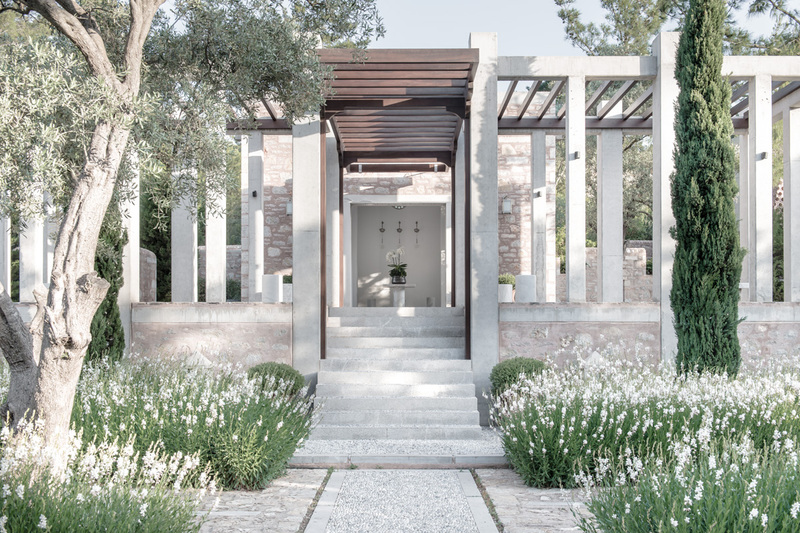 Constructed from local stone and wood, Amanruya’s freestanding Pavilions are alike in design and layout, with a variation between garden and sea views. 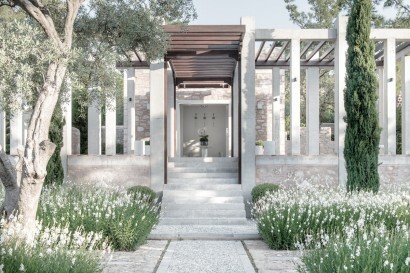 Sheltered by a terracotta roof, each Pavilion is encircled by shady gardens with pergolas and private 32-36m2 pools. 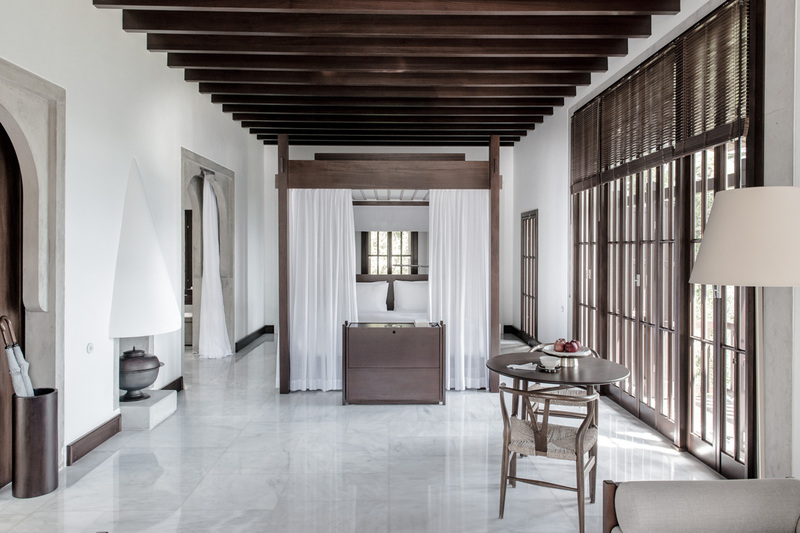 Inside, the cool white walls and marble floors are offset by Ottoman-inspired touches – dark beams, charcoal braziers and kilim (rugs). Common features: Private pool and garden, kingsize four-poster bed, living area with sofa and writing desk, dining table with two chairs, large bathroom with rain shower and freestanding bathtub, LCD screen TV, wifi, DVD player, iPod and iPod docking station, espresso machine, hairdryer, safety deposit box and mini bar. 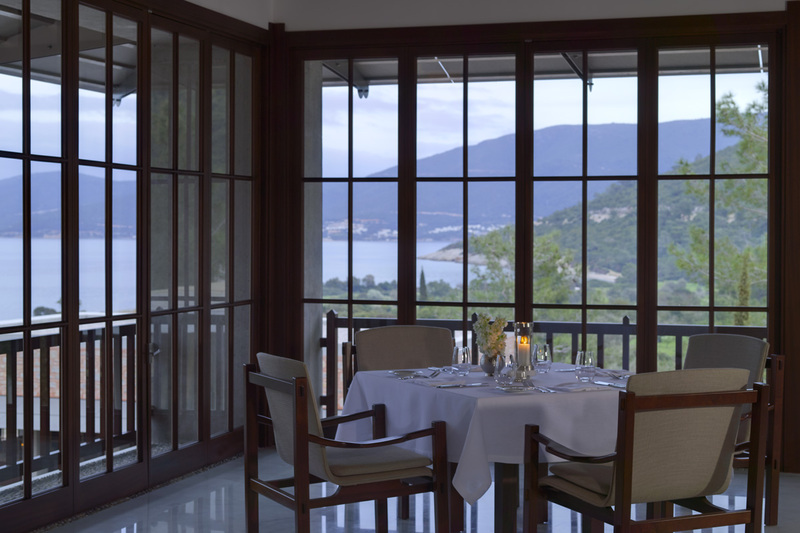 The resort offers several dining venues, all with beautiful sea views. 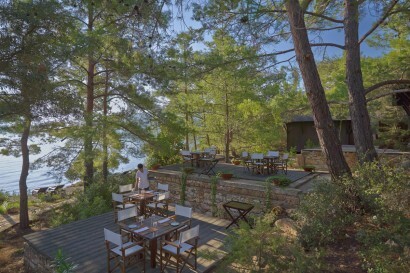 Turkey is blessed with a variety of microclimates resulting in an amazing array of produce, which the resort sources from neighbouring villages and farms. Together with the freshest of local seafood, this allows Amanruya to serve seasonal menus featuring Turkish and Mediterranean cuisines. The tranquil Pool Dining Pavilion overlooks the main swimming pool and the bay beyond, and the spacious Lounge is the ideal venue in which to enjoy afternoon tea. 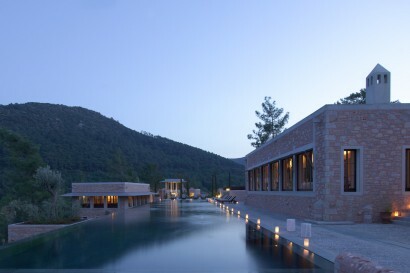 An extensive wine menu featuring a selection of Turkish and International wines offers perfect accompaniments to the food served at Amanruya. Beach Club: Informal restaurant serving daily snacks and drinks. A variety of non-motorised water sports (pedalos, canoes, snorkelling equipment) and small sailing boats are available from the beach club.